Earlier this week, Wi-Fi certification portal had revealed that after launching the Redmi 7 Xiaomi is working on the Redmi Y2 successor aka the Redmi Y3. The Wi-Fi certification had revealed some details about the Redmi Y3 like it would come with Android 9 Pie. Now some more details about the Redmi Y3 has been revealed. According to the findings by folks at XDA Developers Xiaomi may launch the Redmi Y3 as Redmi 7 Pro in some markets. The question now is which model will India get? Redmi Y3 or Redmi 7 Pro. Well, there’s a lot of confusion on that. According to the latest report, the Redmi Y3 will come with a model number and codename quite similar to the Redmi 7. This hints at Redmi Y3 launching as the Redmi 7 Pro in some markets outside China. The Redmi 7 comes with several model numbers like — M1810F6LG for the global variant, M1810F6LI for the Indian variant (under works for now). There’s another global variant of the Redmi Y3 that comes with model number M1810F6LH. The new report suggests that the Redmi Y3 will come with M1810F6G. If you look at all the model numbers of the Redmi 7 and the one of the Redmi Y3, you’ll see that the first several characters of the two phones are similar. This possibly hints that the Redmi Y3 may launch as a Redmi 7 series phones in some markets outside China. If the model numbers weren’t enough the codenames of the two phones also go hand-in-hand. Furthermore, the report also suggests that the Redmi Y3 will come with codename onc_global. Meanwhile, the Redmi 7 — launched in China recently — comes with several codenames “onclite” — is for the global version, “onclite_india” for the Indian model, and “onclite_global_b” — for another global model. There’s still confusion whether Redmi Y3 will launch as Redmi 7 outside China or both will be two different phones. To recall, the Redmi 6 Pro was launched as Mi A2 Lite in some markets last year. So does this also mean that Redmi Y3 aka Redmi 7 Pro may launch as the Mi A3 Lite in some markets? Well, there’ a lot of confusion on which phone will launch as what in which market. It will be good to wait for Xiaomi to officially announce the details of the Redmi Y3, Redmi 7 and Mi A3 series of phones. Xiaomi launched the Redmi 7 smartphone in China a few days ago. The Redmi 6 was launched in India in September 2018 while the Redmi 5 arrived in March 2018. 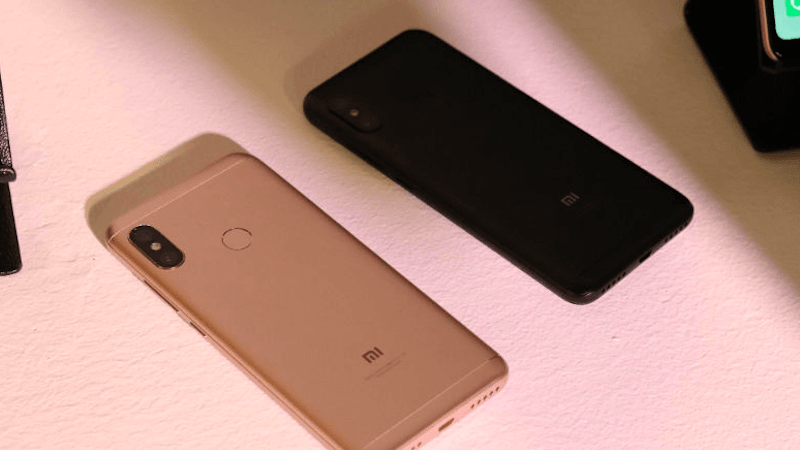 Having said that, Xiaomi might launch the Redmi 7 in India in the next few weeks as several users were disappointed with the Redmi 6′ specifications. The Redmi 7 sports a 6.26-inch HD+ display, Snapdragon 632 SoC and a beefy 4000mAh battery.